No matter the season of the year, it is important to keep your car protected. In the summer weather it will not be good to allow your car remains under the harsh sun. Also, you are not to allow your car got frozen with ice fall during the winter weather. You need to get a good shelter that will guarantee absolute coverage over your car. That is the reason this post is provided for you to learn more about the best winter car shelter. Just take some time to check through the list of the top shelters in 2017 to know the one that will meet your needs. This is the best car shelter for winter built specially for different cars. It is a well organized car shelter with spacious interior and enough height that can take up several cars at a time, the size is 10*20M. This car shelter is made with innovative design and it is quite portable. The cloth is easy to wash and also clean. It is also built with heavy duty sturdy steel frame manufactured with best quality materials. The materials used in building this steel frame is rust resistance making it to last longer than other types. 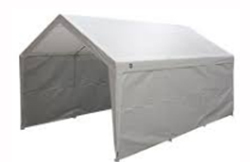 If what you are searching for are portable winter car shelters you are not to worry. This is one of the options you need not to miss for any reason. It is built with all the things you need to ensure absolute protection of your car. It is also built with quality ventilation with doors that can easily be opened. 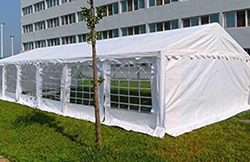 The sidewalls are equipped with 3 windows to usher in lighting and to enhance airflow inside the shelter. 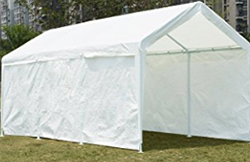 To ensure perfect use of this shelter, you are advised to place it on concrete lawn. To stand chance of improving your car's protection you are to protect it with a good shelter. This particular shelter is among the best you can ever find on the internet. It is suitable for winter use as is built to be used on different places. It is also designed suitably for recreational activities as well as commercial uses. To ensure absolute water resistance, the top part of the shelter is made with polyethylene material. In case you are searching for best quality car shelter for winter the true shelter car canopy offered here is the best. It is made with quality steel frame built with rust resistance feature. To enhance stability, it is built with eight stands. With the enhanced stability, you will not need to worry about wind blow when you install this shelter in your compound. This is one in town temporary winter car shelter with all the things you need to enjoy superior experience. You are not going to worry about interference of any external element inside the canopy. This is due to the fact that the walls and the roofing are specially built using polyethylene material. In fact, you are going to be sure of absolute protection over your car when you make use of this shelter in the winter season. The opportunity you are looking for to preserve your car has been made available for you online. What you just need is the ShelterLogic Shelter Tube Storage Shelter. It is both easy to install and highly durable. That is what made it important for you to go ahead and utilize this wonderful winter shelter for 2017. If you want to buy shelter for your car in winter weather with large zippered doors and metal corner joints, Abba Patio canopy is the choice. It is perfectly built to meet the needs of all car owners with its big size. The structure integrity is made obvious through the sturdy base plate. It is also affordable and designed with water-resistant exterior. Do you consider portability in your choice for winter shelter? Lanmodo car umbrella is the best choice. It is the best among other super portable winter car shelters. This particular car umbrella is designed with easy to wash and clean cloth. The cloth is also customizable meaning it can be designed to your own preferred style. Another thing about this car umbrella is that it is built with automatic control. That means with a press on the remote control you will install and fold the car umbrella. It is also portable and easy to install coupled with the fact that it can be used anywhere. The size of Lanmodo car umbrella is universal making it suitable for all kinds of cars. That is what made it important for you to go ahead and make Lanmodo car umbrella your choice. You can just check the internet for the temporary winter car shelter listed on the post above. 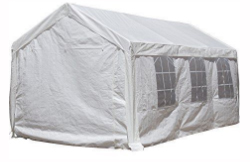 You can also get the portable winter car shelters without spending hugely. Maintenance of the abovementioned winter car shelters just made them the best car shelter for winter you can ever find anywhere in the market.